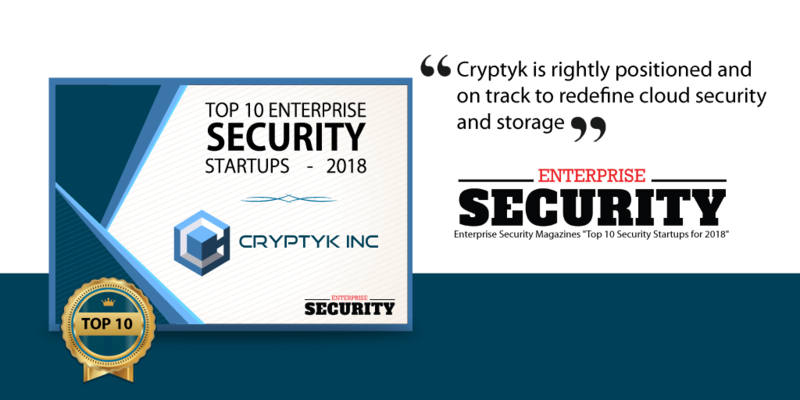 Enterprise Security Magazine, the leading global publication for CISOs, CIOs and cyber-security professionals, has just named Cryptyk Inc as one of the "Top 10 Enterprise Security Startups for 2018". This prestigious award is a first not only for Cryptyk, but for blockchain technology as a whole. With the other award winners coming from artificial intelligence (AI), machine learning (ML) and data analytics companies, Cryptyk is the first blockchain company to make the annual list. Cryptyk CEO and Founder, Dr. Adam Weigold commented that " This is great recognition for the team, and it places Cryptyk at the forefront of blockchain technologies that are only now starting to penetrate the massive enterprise market."